President Olusegun Obasanjo, PDP presidential candidate Atiku Abubakar, Senate president Bukola Saraki and Chief Bode George were some of the high-profile dignitatories that attended the Lagos Island Quarterly Business Lecture on Wednesday. 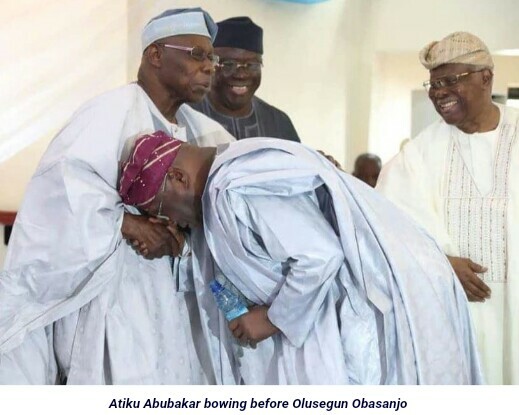 Atiku and Saraki bowed before Obasanjo in the course of greeting him. It would be recalled that Obasanjo and Atiku recently made peace and the former has endorsed him for President, come the 16th of February, 2019. Obasanjo remains a powerful force in Nigeria's political affairs.